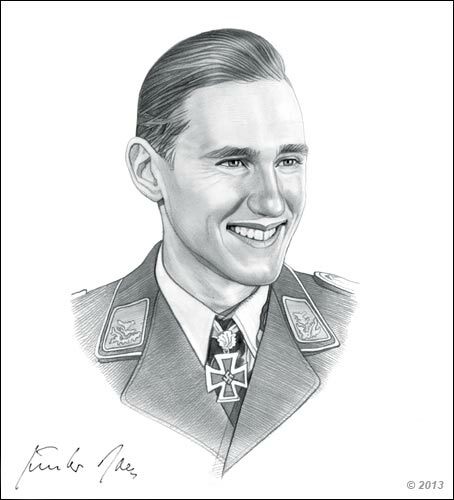 Gunther Rall was the third highest scoring German fighter Ace of WWII. He achieved 275 victories during his fighter pilot career during the World War II. Out of those victories, 272 were against the Soviet fighters. He was assigned to 621 combat missions and was shot down 8 times and wounded 3 times but was never captured by the enemies. He participated in a lot of battles like the Battle of France, The Battle of Britain, the Balkan Campaign and the Battle over Crete. His rank rose from Second Lieutenant to Major, then to Geschwader kommodore of JG 300. Gunther Rall led his pilots to many victories because he was very intelligent when it comes to combat tactics at the same time his leadership skills were excellent. Gunther Rall was a son of a business man. He was educated in Gymnasuim which is located in Stuttgart. He spent his elementary and high school years there. He studied 9 years in Latin and 5 years in Classical Greek. His education was focused more on Literature; Math and Science were just minor subjects. He graduated at the age of 18 and joined the infantry regiment. Gunther Rall was born on March 10, 1918 in Gaggenau, Baden, German Empire. His father was a merchant and was on service during World War 1 when he was born. He had one sister who lived in Stuttgard. He married Dr. Hertha Schon in 1941, whom he met while he was under hospital treatment. She died 8 years after their marriage. They had 2 daughters. His eldest daughter was married to a French man and lived in Paris, France with 1 son, Clement and daughter, Anna Louise. Felicita, his second daughter, lived in Munich with 2 daughters. The Battle of France was his first fight and he achieved his first victory on May 12, 1940. He participated in the Battle of Britain and was given command of Staffelkapitän of 8./JG 52. Because the squadron had many loses, they were withdrawn from combat so their loses would be replaced. 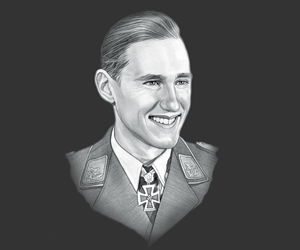 On the spring of 1941, Gunther Rall joined the Balkans Campaign. He took part in the air invasion and was successful. He was later on assigned to Romania to help defend the oil fields from Soviet bombers. On June 1941, he had his third and 4th victories after he joined Operation Barbarossa. By the end of WW11, Gunther Rall had achieved 250 victories with a total of 151 aircraft destroyed. “In my experience, the Royal Air Force pilot was the most aggressive and capable fighter pilot during the Second World War. This is nothing against the Americans, because they came in late and in such large numbers that we don't have an accurate comparison. "The British were sporting. They would accept a fight under almost all conditions." On October 4, 2009, Gunther Hall died at the age of 91. He had had a heart attack two days prior to his death. His bravery and leadership skills had been an inspiration to the other fighter pilots to win any combats they met. Although, he was assigned to a team known for many losses, he did not lose hope but he lead them to many combat victories. Front Flying Clasp of the Luftwaffe for fighter pilots in Gold with penant "600"
This picture of Gunther Rall is Copyright © June 2014 Siteseen Ltd. We only allow this picture to be used for printed non-commercial purposes and particularly encourage it's use for printed educational non-commercial purposes. This Gunther Rall picture is not in the Public Domain. 3) Use of this Gunther Rall picture, or any of our pictures on websites re-distributing copyright free material is strictly prohibited.